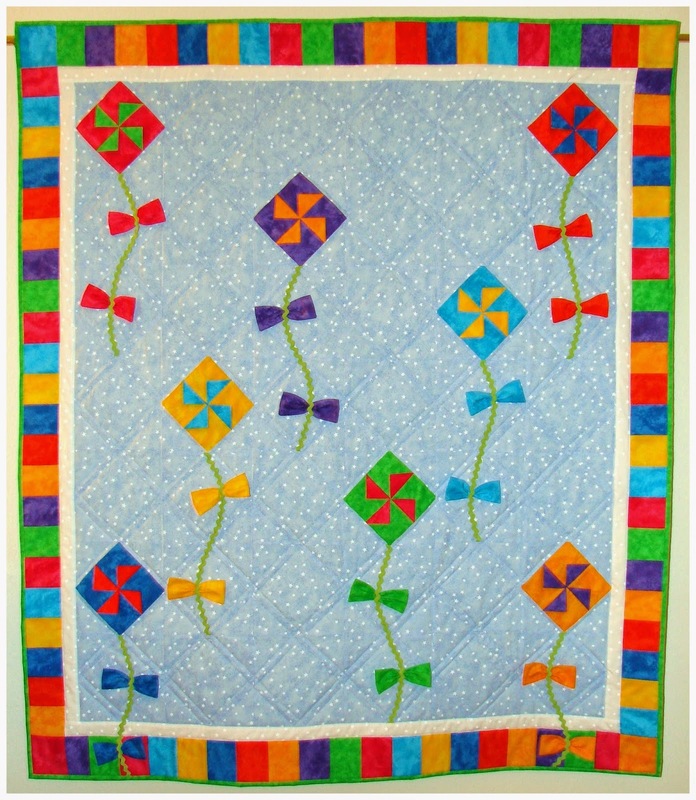 I saw this pattern by Tammy Tadd in a magazine while waiting in line at the grocery store one evening. The kites and bright colors reminded me of my grandson Wyatt who loves art, color and the beach. 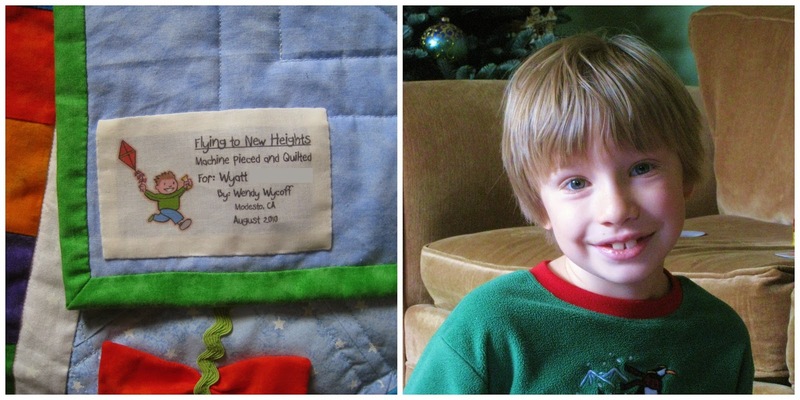 He also enjoys reading and I thought this would be a great lap quilt or him to curl up with on a chilly evening. I love all the colors, the ric rac kite strings and the bow-like ties. Most of all I like the 3D technique in the pinwheels. This picture I took just after I finished quilting but before the binding. 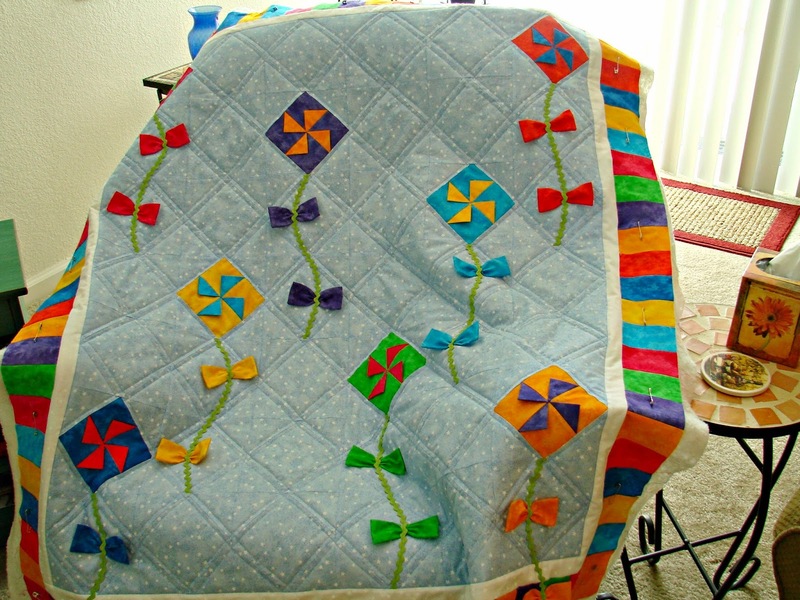 The quilt lines show a little better. 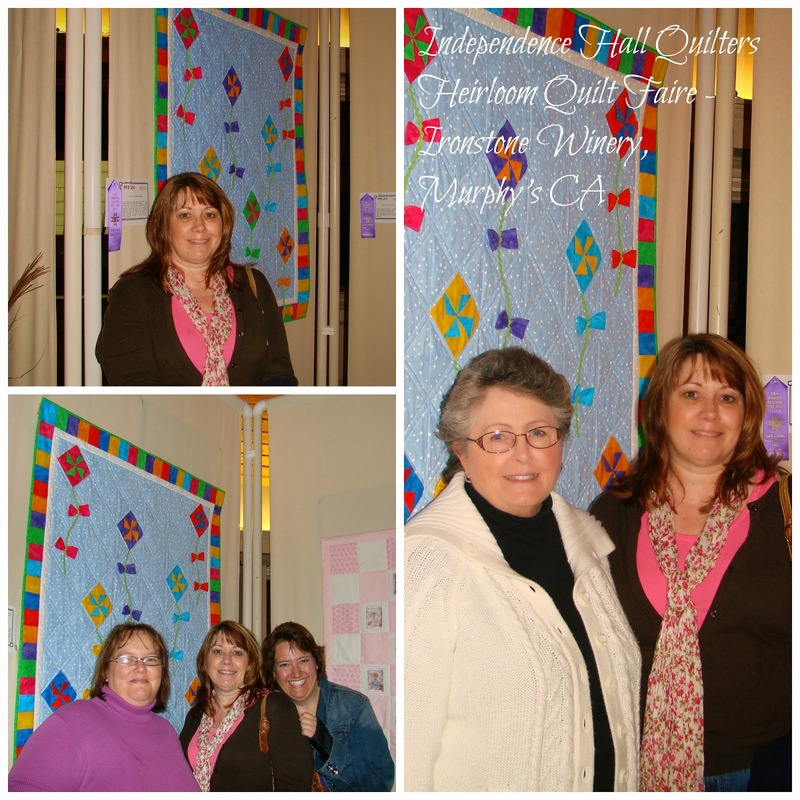 This is also the first (and so far only) quilt I entered in a quilt show. It was a great experience. My mom and my best buds were there. Unfortunately, it was raining like crazy AND I had a cold so I look pretty miserable - just how I felt. But it was still fun! !